If Japan Airlines first class isn’t near the top of your list of first class experiences to try, you might want to reconsider. From the first class lounge to your first class seat to the amazing service, this is a chance to enjoy pure luxury. If you enjoy champagne, flying first class on Japan Airlines will be a particularly special treat. 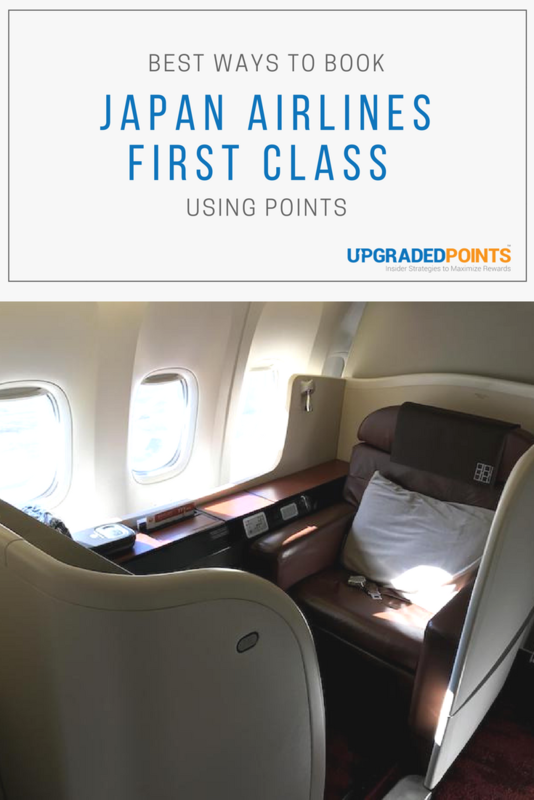 Before we dive into the best ways to book this amazing experience, let’s discuss what you can expect when flying first class. 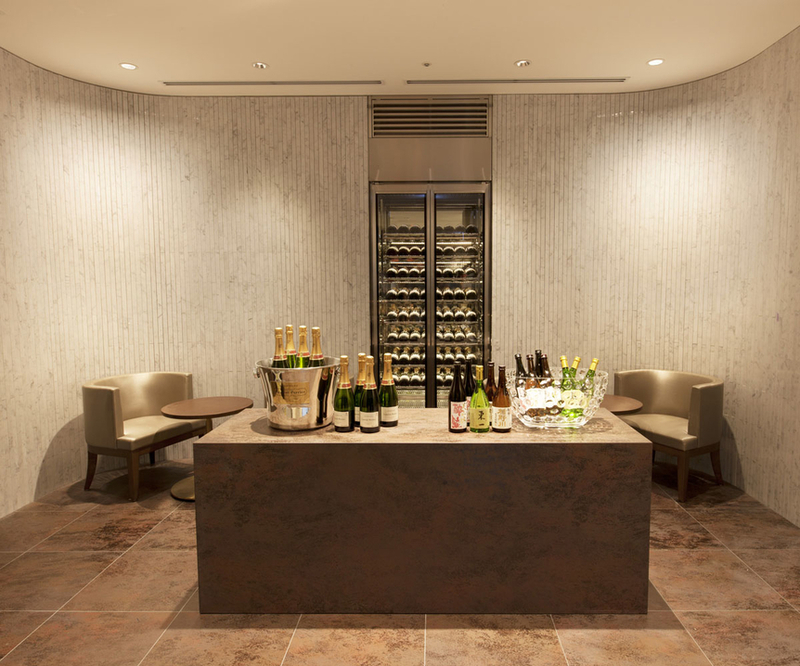 From champagne to wine to sake, you’ll have some amazing choices at Japan Airlines first class lounge at Tokyo Haneda. Image courtesy of ausbt.com.au. If you’re flying out of Tokyo Narita (NRT) or Tokyo Haneda (HND), your first class journey will start in a Japan Airlines first class lounge. Whether you’re looking for a place to relax, have a drink, enjoy some food, or do some work with fast Wi-Fi, you won’t be disappointed. Their first class lounges even have self-pouring beer machines that have become a favorite of many luxury travelers. The self-pouring beer machine that comes with chilled glasses is pretty awesome! Image courtesy of Stephen Au. Hot Tip: The lounge at Tokyo Haneda also has been known to provide self-serve Laurent Perrier champagne. 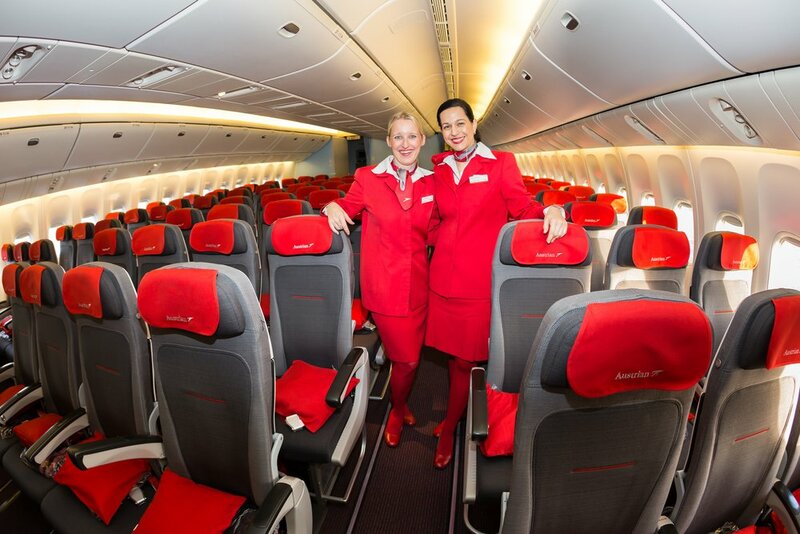 Once onboard, you can expect top-notch service throughout your flight. The Japan Airlines crew members will happily make your flight as enjoyable as possible by doing things such as preparing your bed with the mattress pad of your choice (hard or soft). Japan Airlines also goes to great lengths to ensure you enjoy all of your food and drinks, including Louis Roederer Cristal Champagne, which retails for around $270 a bottle. Relax in your first class suite and enjoy your flight on Japan Airlines. Finally, the Japan Airlines first class suite provides you with ample privacy. While it doesn’t have doors like those of Emirates first class, Singapore Suites, or the Etihad Apartments, the dividers provide plenty of privacy so you can feel right at home. Japan Airlines uses a simple region-based award chart for its own flights between the U.S. and Japan. You can book first class award tickets on Japan Airlines through their own Mileage Bank program, Alaska Airlines Mileage Plan, or one of their Oneworld partners. Let’s dive into the best ways to book this flight. The Japan Airlines Mileage Bank program uses a region-based award chart for its own flights, unlike the distance-based chart if you’re booking flights on partner airlines. Make sure the flights you select have seats available and do not require waitlisting. If you selected Award Reservation Calendar, you will see 7 dates for your departure and 7 dates for your return. Select the dates and you will be taken to your flight options for those dates. Hot Tip: When you select your flights, make sure there is availability, since Japan Airlines will also list flights you can be waitlisted for. Make sure there is award seat availability before you book your first class flight on Japan Airlines. 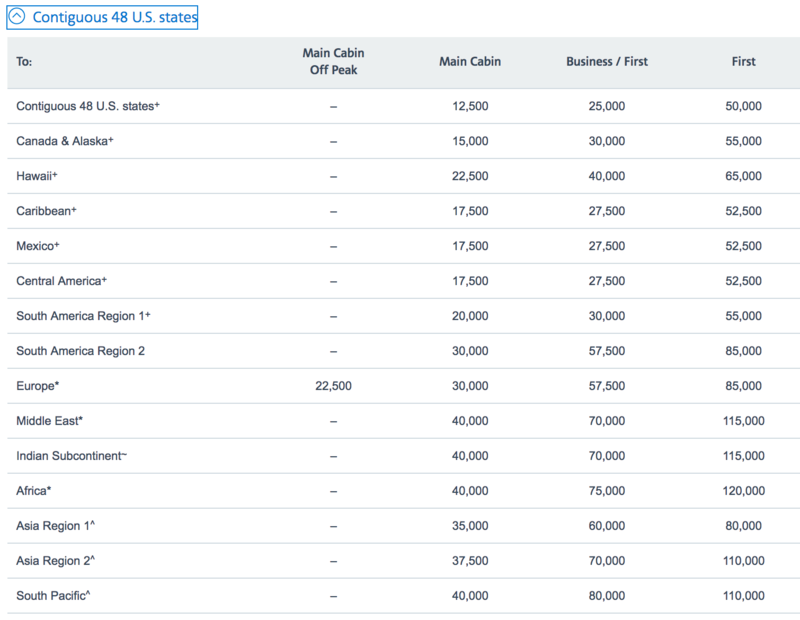 The image above provides a guide to what you should see under the Seat Availability column when selecting a flight. If you see a diamond under Seat Availability, that means there is only waitlist space available. In the example above, you can see the first flight from New York to Tokyo has 1 seat available, and the other flight has 2 seats available. On the return, the second flight has 1 seat available while the other flight only was waitlist space. If your booking involves a connection on a partner of Japan Airlines (such as American Airlines), your booking will fall under their partner award chart, and you will need to call to complete the reservation. Although the JAL partner award chart was recently devalued, there is still solid value to be had. Image courtesy of jal.co.jp. For example, if you fly from Philadelphia (PHL) on American Airlines to Chicago (ORD) to catch a Japan Airlines flight to Tokyo Narita (NRT), you will need to look at the partner award chart to determine how many miles will be required. For other ways to earn Japan Airlines miles, read our best ways to earn JAL miles. If you need some other ways to use your Mileage Bank miles, check out our best ways to redeem Japan Airlines miles. Another good way to book Japan Airlines first class is through the Alaska Airlines Mileage Plan program. Flying between North America and Japan will cost 70,000 Alaska Miles for a one-way ticket in first class. Hot Tip: Alaska Airlines Mileage Plan intra-Asia awards on Japan Airlines must be booked at least 72 hours in advance. Other routing is not affected and can still be booked last minute. You can also book a stopover on a one-way award ticket booked with Alaska miles. If you need some other ideas for using your Alaska miles, check out our best ways to redeem Alaska miles. With the new Asia Miles prices effective June 22, 2018, you’ll need to check mileage by partner airline using their calculator. As an example, New York City (JFK) to Tokyo-Haneda (HND) first-class round-trip is 240,000 miles. To book a flight on Japan Airlines, you will need to call Cathay Pacific. 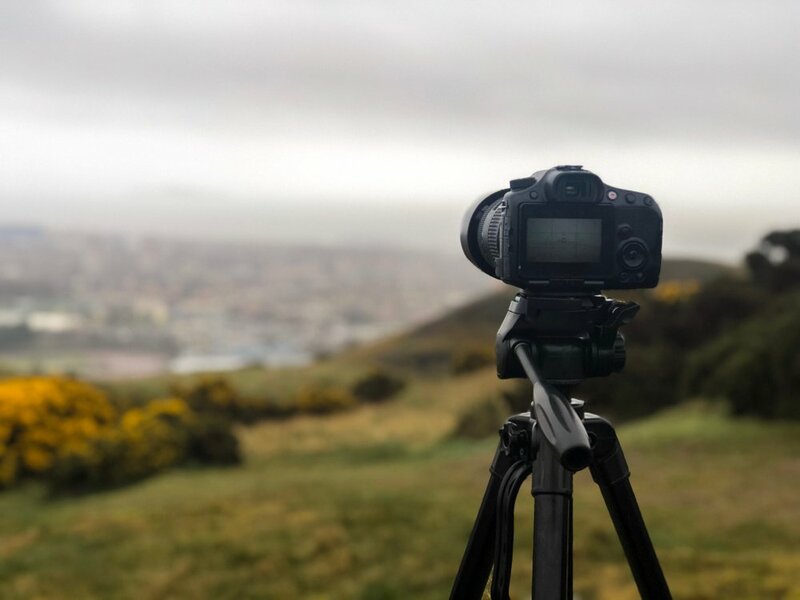 If you need more miles to complete a booking, Cathay Pacific has several credit card partners including American Express Membership Rewards points and Citi ThankYou Points. These partners each transfer to Asia Miles at a 1:1 rate. Citi ThankYou Points generally transfer within 24 hours, and transfers from Membership Rewards can take 3-7 days. Hot Tip: Check out our Transfer Partner Tool to easily calculate how many miles you’ll need to transfer for your award. Japan Airlines first class can also be booked with your American miles. American Airlines AAdvantage is one of the most commonly used programs for booking Japan Airlines first class. It was more popular before they devalued their award chart in early 2016, but it’s still very useful if you need to connect to an airport in the U.S. where Japan Airlines operates. To book with American miles, you will need to call after searching on the British Airways site. Here’s what you need to know. If Japan Airlines isn’t your thing right now, there are great other options for redeeming your American AAdvantage miles. Hot Tip: The ability to put award seats on hold makes using American miles one of the easiest ways to book Japan Airlines first class. One of our writers did just that! Check out his JAL 777 FC review (Tokyo—LA). 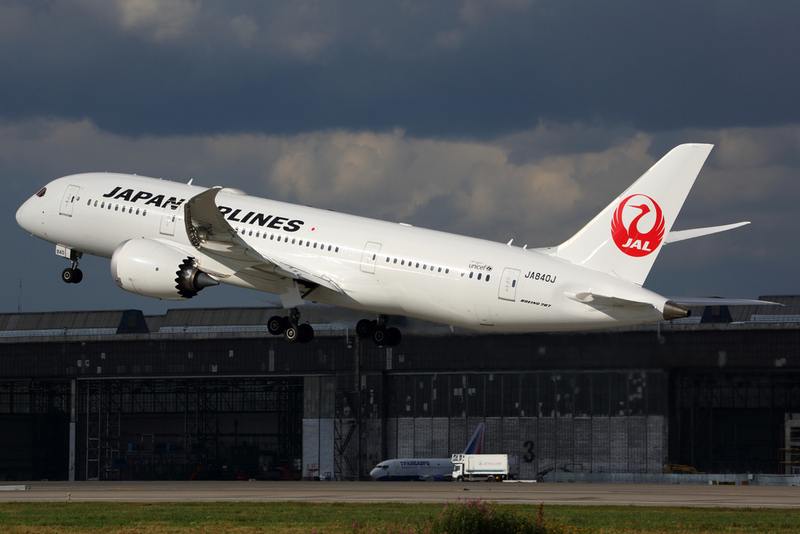 You can also book flights on Japan Airlines with any of their other Oneworld partners including British Airways. Unfortunately, the redemption rates on these other carriers are often quite poor. Look for Japan Airlines’ “Limited Days of the Week” awards to save a ton of miles on first class flights! First, let’s take a look at some standard awards between the U.S. and Japan. After that, we will look at some more creative ways to book Japan Airlines first class. If you’re flying from New York City (JFK), Chicago (ORD), or Los Angeles (LAX), your cheapest option is 140,000 Japan Airlines miles or 140,000 Alaska miles. 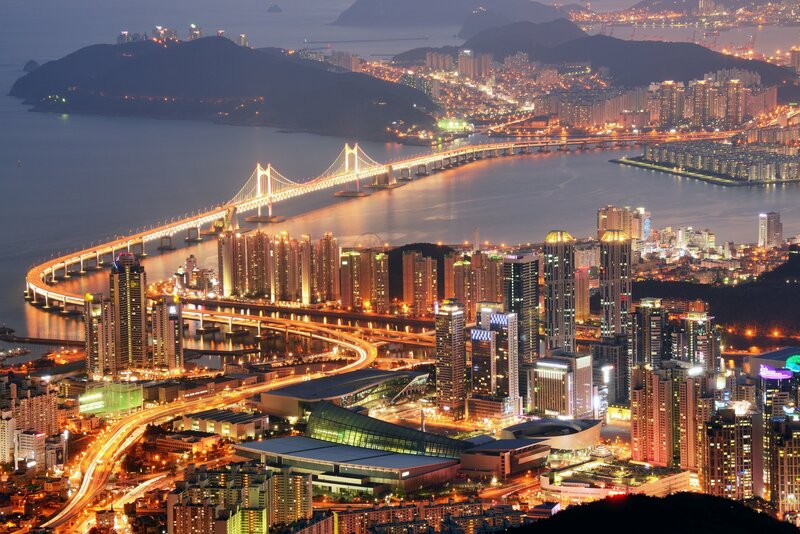 You could also book with 160,000 American miles or 240,000 Asia Miles. Here’s where it gets fun: Japan Airlines has what it calls “Limited Days of the Week” awards for first class flights between the U.S. and Japan. With the exception of some blackout dates, you can fly from the U.S. to Japan in first class for 120,000 miles on Mondays, Tuesdays, Wednesdays, and Thursdays, or return from Japan on Tuesdays, Wednesdays, Thursdays, and Fridays. This is as good as it gets when booking Japan Airlines first class from the U.S.! 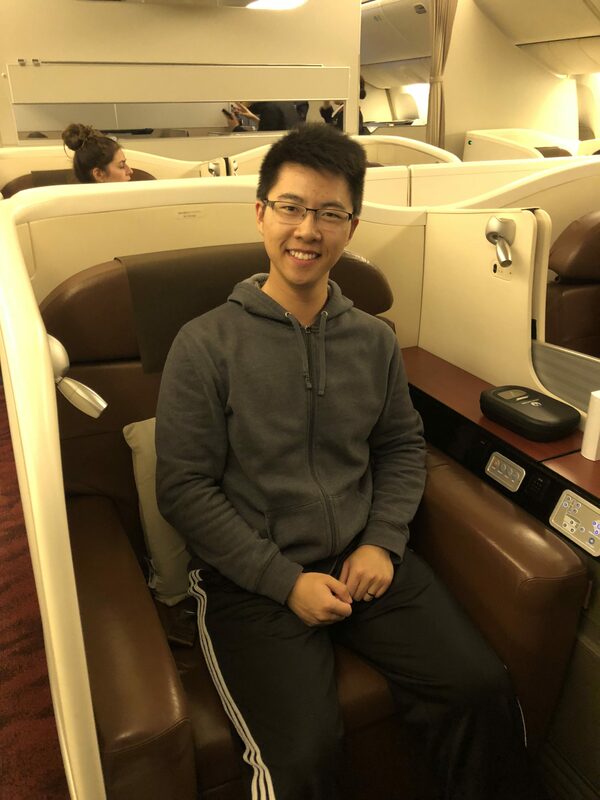 Another interesting twist when booking Japan Airlines first class is what happens if you book a connection on American Airlines. If you do this, your award booking is governed by a different award chart. For example, if you book a round-trip award that has you fly American Airlines from Philadelphia to Chicago then on to Tokyo via Japan Airlines first class, your total mileage cost would be 220,000 Asia miles. Hot Tip: If you’re interested in Tokyo as your main destination, check out our in-depth travel guide to Tokyo for the best things to do, see, eat, etc! 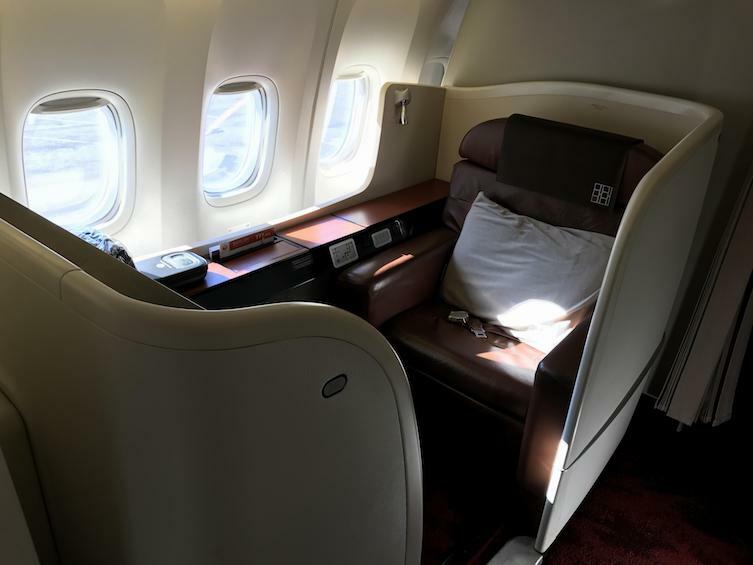 If you are ready to book a flight in Japan Airlines first class but don’t have enough miles for the itinerary you want, there are plenty of ways to earn more. You can earn Marriott points and transfer those to Japan Airlines, American Airlines, Alaska Airlines, and Cathay Pacific at a transfer rate of 3:1. Plus, for every 60,000 Marriott points that you transfer, you’ll receive an extra 5,000 miles bonus. Cathay Pacific Asia Miles can be transferred from American Express Membership Rewards and Citi Thank You Rewards (both at a rate of 1:1), or from Marriott at a transfer rate of 3:1. Finding a first class award seat on Japan Airlines is not always easy, but if you’re flexible with your travel dates you can put together an amazing trip. As soon as you have an idea about when you’d like to travel, start searching. You might be able to find space many months prior to departure, but Japan Airlines might not release award space until days before you want to depart. Flying first class with Japan Airlines is a special experience thanks to a great seat and top notch service. If you’re a fan of champagne, the chance to enjoy one of the most expensive champagnes in the world will make your flight even better. The cabin crew in Japan Airlines first class is second to none. They take great pride in creating an amazing flight experience for passengers, so you can sit back, relax with a glass of champagne, and enjoy the flight. Speaking of champagne, several airlines around the world serve Dom Perigon, Krug, etc. But Japan Airlines stands alone in serving Louis Roederer Cristal 2009, which retails for $300+ per bottle. Needless to say…you won’t be disappointed. 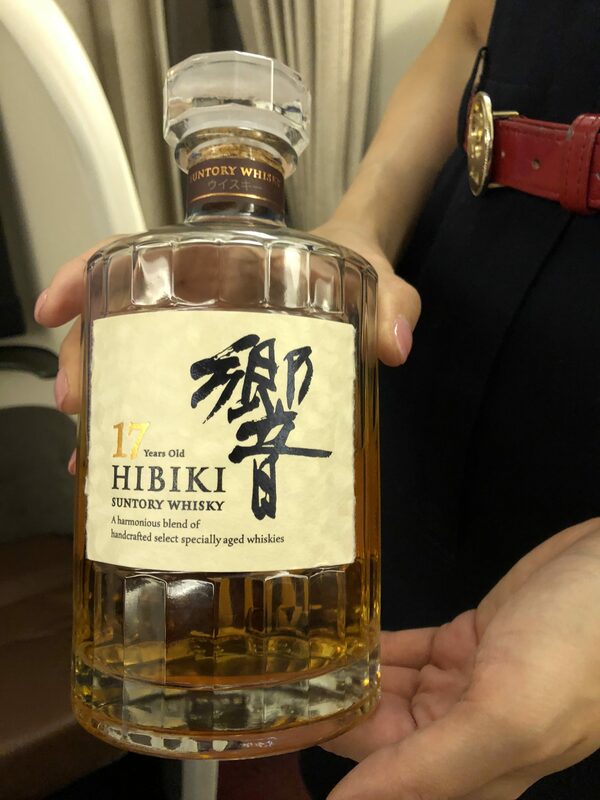 If you are a fan of high-end whisky, you’ll have a chance to try the discontinued and legendary Hibiki 17 whisky in Japan Airlines first class. Image courtesy of Stephen Au. Another huge perk of Japan Airlines first class is the liquor selection. You’ll have the opportunity to try Hibiki 17, which is an increasingly rare and world-class whisky. Because Hibiki 17 has been discontinued, the demand is extraordinary now. Bottles can retail anywhere from $750 to $1,000. 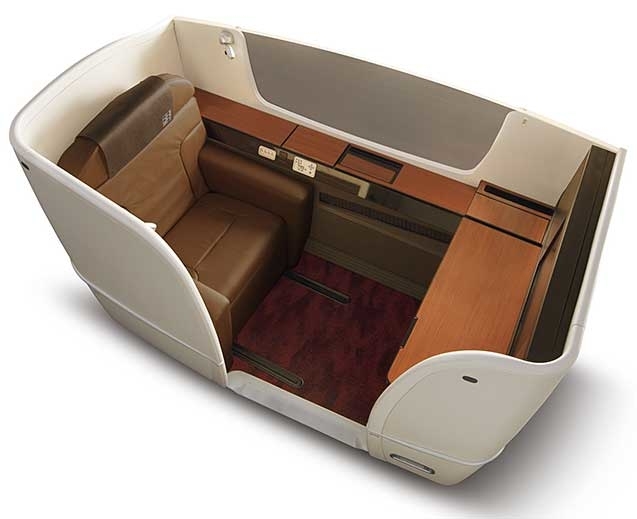 The Japan Airlines first class seats feature an industry-leading 33 inches in width! Image courtesy of Stephen Au. Your first class suite provides a comfortable seat that converts into a very nice lie-flat bed. Additionally, you’ll have space to move around and privacy to make you feel right at home. When you fly with Japan Airlines, you can expect an amazing first class experience. Whether you’re at the first class lounge at Tokyo Narita or Tokyo Haneda, you’re going to enjoy yourself. Once on board, it only gets better when you settle into your suite and see the first class cabin crew in action. While it’s not always an easy award ticket to book, you will be very happy to put in that little bit of extra effort! What is the best way to book Japan Airlines first class? If you are booking first class on Japan Airlines, check Japan Airlines Mileage Bank, Alaska Airlines Mileage Plan, Cathay Pacific Asia Miles, or American Airlines AAdvantage. Japan Airlines and Alaska Airlines will have the best redemption rates, but booking with American Airlines can be much easier since you can put awards on hold. It’s also much easier to earn Asia Miles and book with Cathay Pacific. What credit cards can help me fly Japan Airlines first class? You can transfer Membership Rewards or ThankYou Points to Cathay Pacific. Bank of America also provides co-branded cards that earn Alaska miles if you need to top off your Mileage Plan account, while Citi provides co-branded American Airlines cards. Synchrony Bank provides the Cathay Pacific Visa as well. What do I get when flying Japan Airlines first class? Japan Airlines has an amazing first class suite and a cabin crew that is second to none. You’ll also get to enjoy one of the most expensive champagnes in the world. 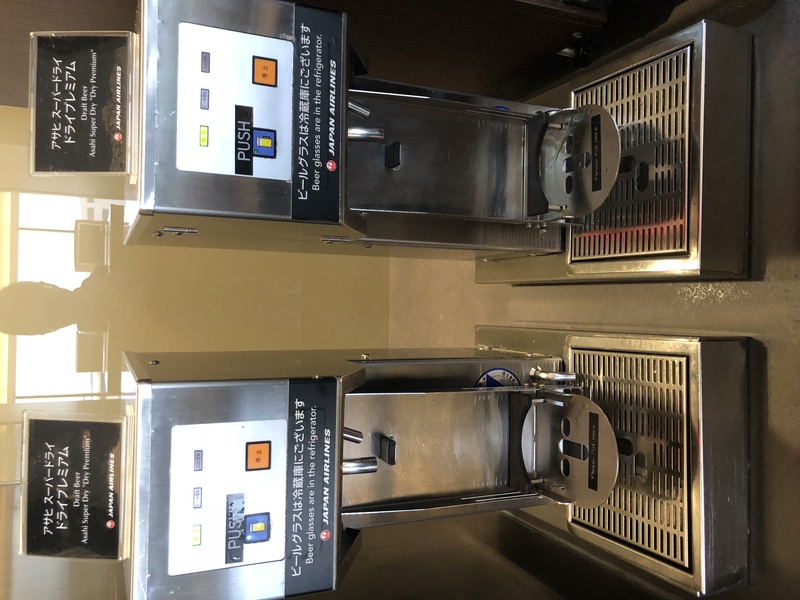 If you depart from Tokyo Haneda (HND) or Tokyo Narita (NRT), make sure you enjoy one of Japan Airlines’ first class lounges. Can I combine points from different cards into one account, say Amex and Citi? Also what’s the best way to bank these points into a one world partner account where I can use them to fly first class to Japan from NY on JAL. Will my Amex Plat card concierge service take care of this for me if I call them? Thanks again, love your posts. If there is a partner that both Amex and Citi transfer to, then yes – you can definitely transfer points to that partner from both Amex and Citi. There are partners that all of the transferrable programs are aligned with, such as Singapore Airlines so you could technically transfer in from all 4 (Chase, Citi, SPG, Amex). SPG transfer to all of the OneWorld partners so that would be the best way to start banking points if you’re looking for maximum options.